St. Patrick’s College, Maynooth, with chapel to the right. Catholic Archbishop of Dublin Diarmuid Martin has decided to remove three seminarians from his dioceses at St. Patrick’s College, Maynooth, due to “an atmosphere of strange goings-on” at the national seminary. Martin is transferring the trainee priests to the Irish Pontifical College in Rome, according to The Irish Times. In May, The Irish Catholic reported on “allegations of a gay culture in the seminary were made in an anonymous letter to the Irish bishops.” Martin would not comment for the 1 August Times‘ story on whether those allegations weighed on his decision. “…[I]f Maynooth was a place of dynamic orthodoxy (absolutely not to be confused with rigidity and fundamentalism), it would be attracting considerably more vocations. If the seminary sounded a certain trumpet, not an uncertain one, it would be attracting more vocations, and if these constant worrying stories about Maynooth dried up, not because they were suppressed, but because the seeming problems were dealt with, then it would attract more vocations. 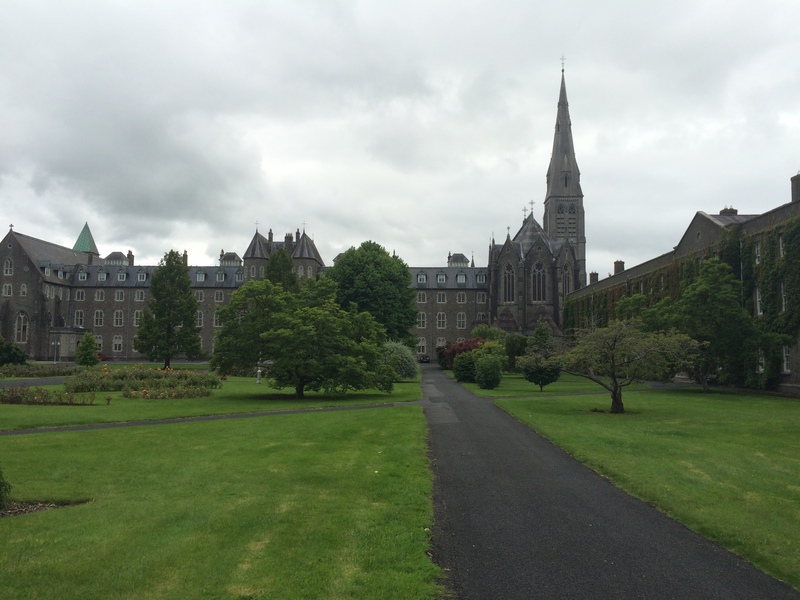 I spent some time walking around the County Kildare campus during my recent visit to Ireland. Students were gone for the summer, and most of the buildings were locked, including the beautiful late 19th century chapel that I had intended to visit. 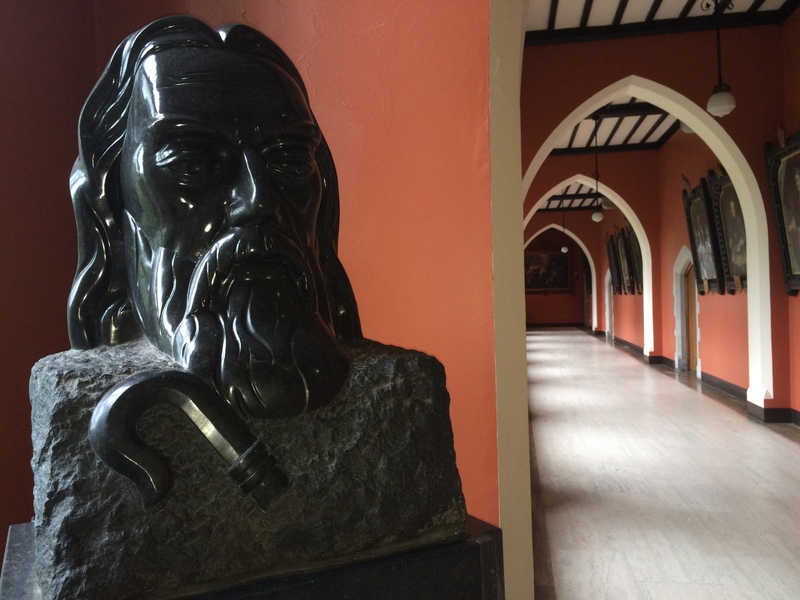 Bust of St. Patrick inside one of the college’s academic buildings. 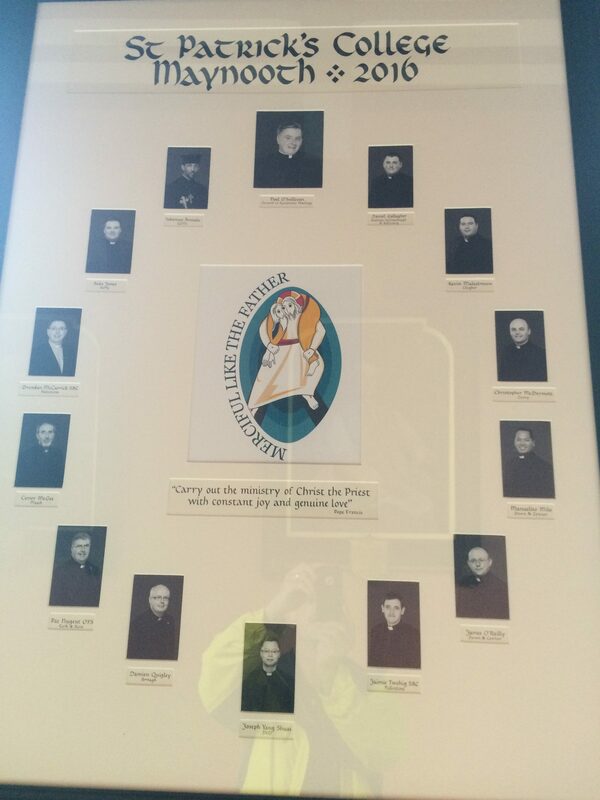 This entry was posted in History, Religion and tagged Kildare, Maynooth, St. Patrick on August 1, 2016 by admin.